Tampa partner Ryan Reinert has been nationally certified in Business Bankruptcy Law by the American Board of Certification (ABC). To become certified, Ryan practiced law full time for at least five years; remained in good standing in with The Florida Bar; devoted at least 30% of practice time and at least 400 hours to bankruptcy related matters in the last three years; documented involvement in business bankruptcy by providing information on cases practiced; demonstrated commitment to continuing legal education by earning at least 60 hours of bankruptcy education in the past three years; and passed an extensive, day-long written examination covering business bankruptcy issues. The ABC is a nonprofit organization dedicated to serving the public and improving the quality of the bankruptcy bar. The rigorous ABC certification standards are designed to encourage bankruptcy practitioners to strive toward excellence and to recognize those attorneys who are experts in the bankruptcy field. Ryan C. Reinert is a partner in Shutts & Bowen’s Tampa office, where he is a member of the Creditors’ Rights/Bankruptcy Practice Group. 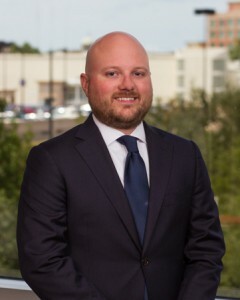 Ryan practices business bankruptcy, including trustee and creditor committee representation, and commercial litigation. He has represented commercial and individual lenders throughout Florida in federal and state courts, including traditional, pooled, joint venture and CMBS loans.